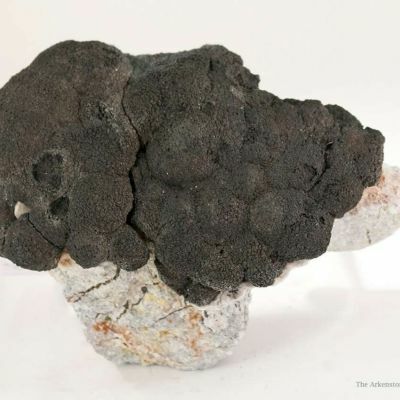 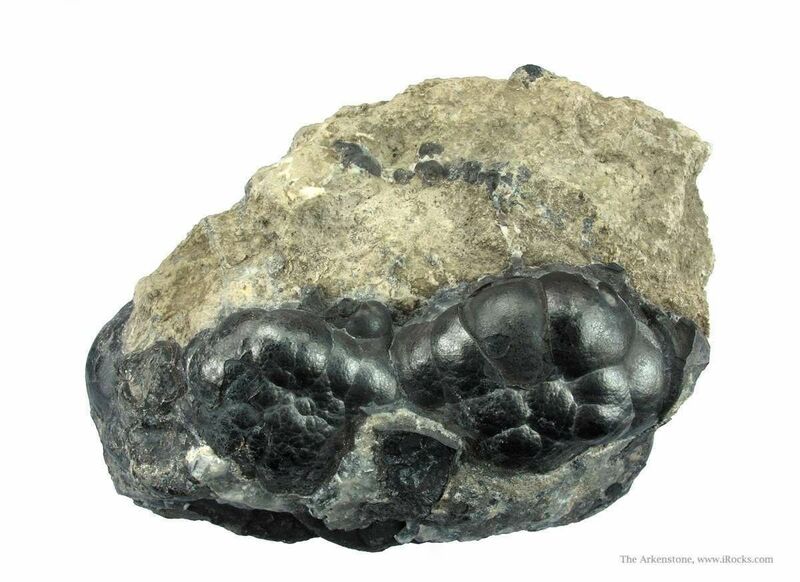 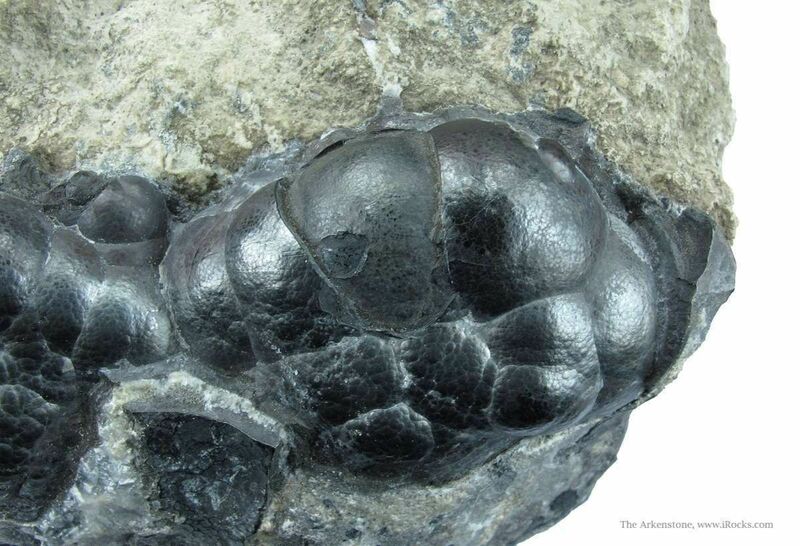 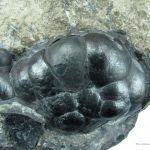 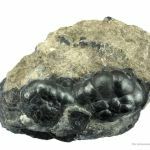 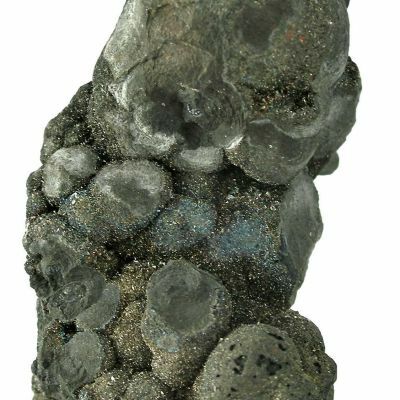 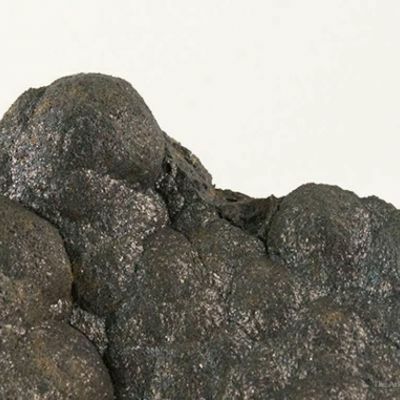 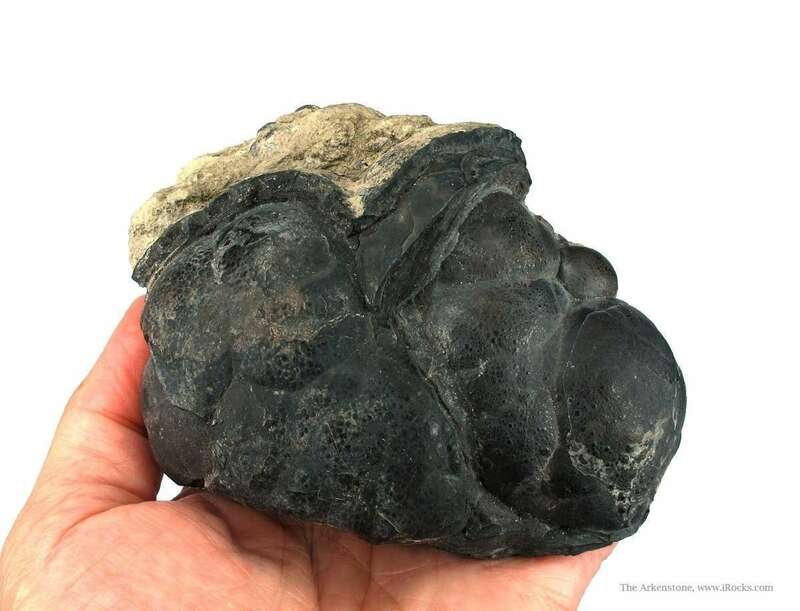 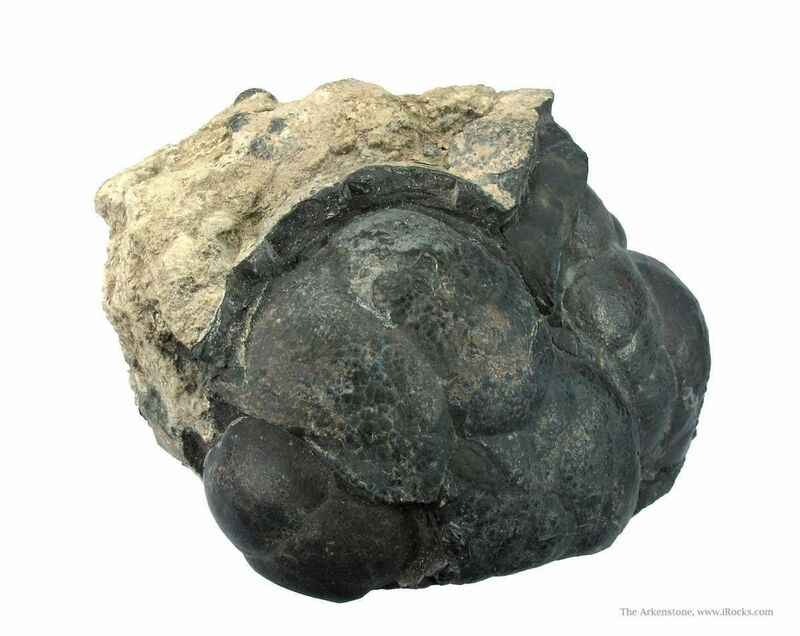 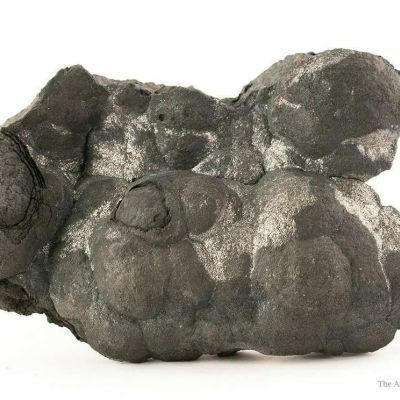 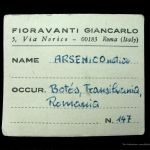 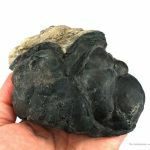 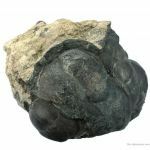 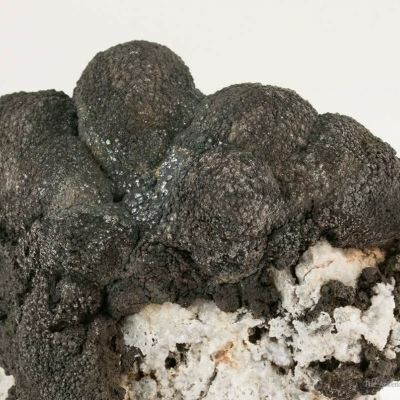 A display-quality cabinet specimen of virtually solid, botryoidal Native Arsenic from Romania. 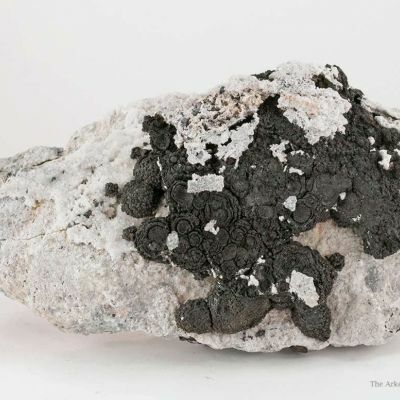 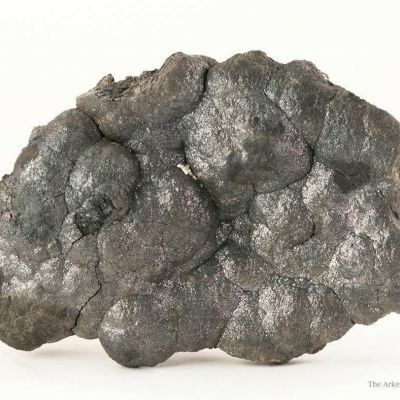 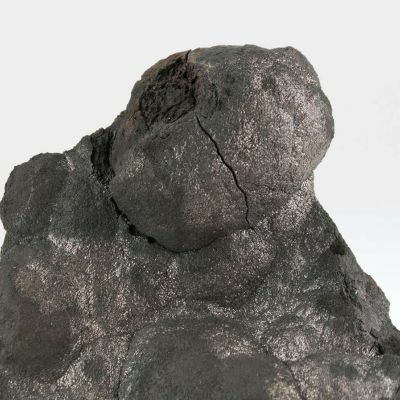 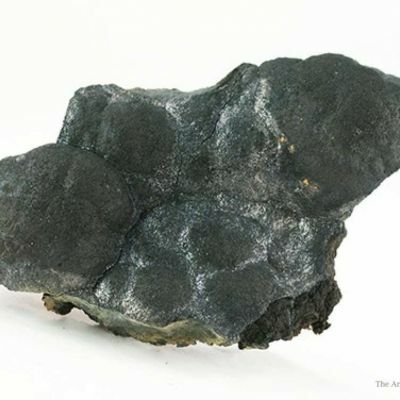 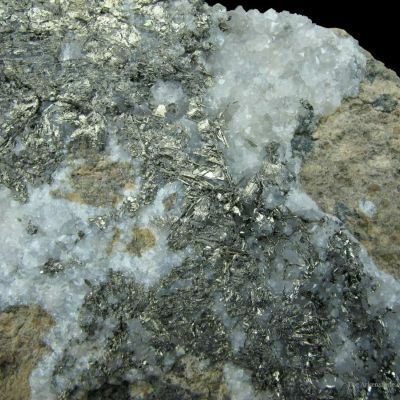 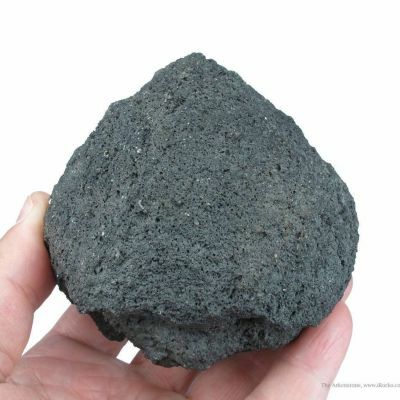 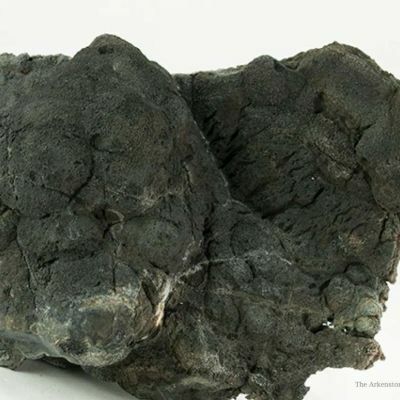 The luster on the dark grey Arsenic ranges from good to high, and the botryoids range up to about 4 cm. 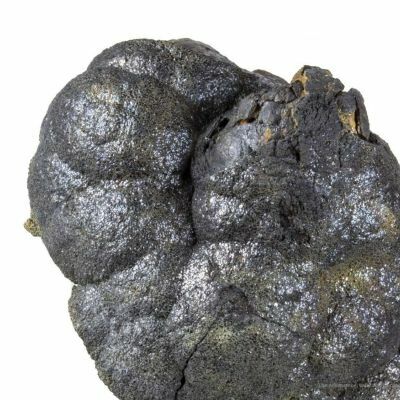 These botryoids overlap, creating this impressive specimen. 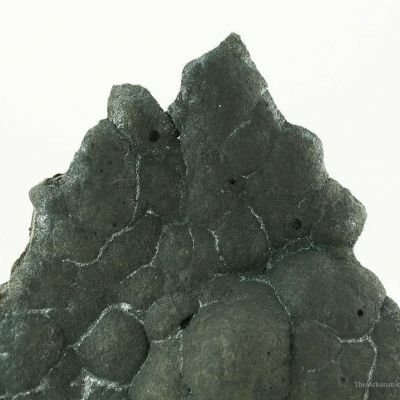 Displayable from several angles. 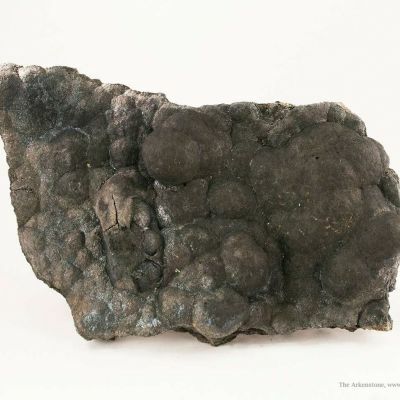 Ex Franz Meyer, 1970, labeled as from Botes Mine. 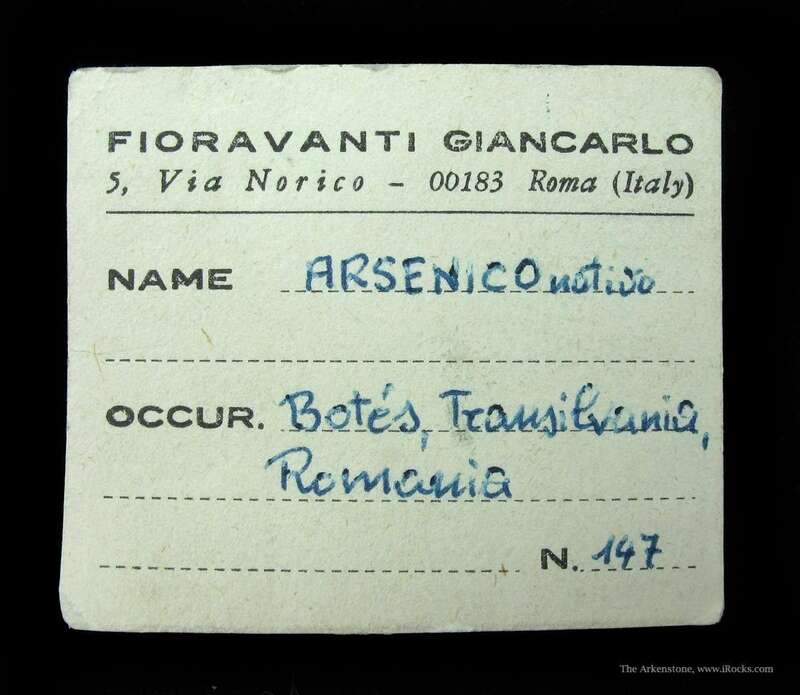 However Botes does not list arsenic as a native species, in MINDAT. 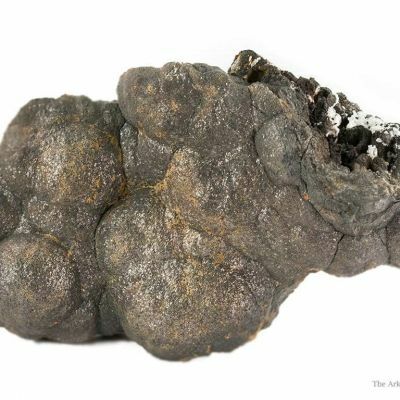 We are assuming that a mine in Offenbanya is more likely the origin.